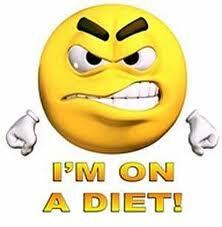 By Day 4 of the Detox Diet, I have slipped a couple of times but mostly stayed strong. Ah, the word “mostly”. I AM happy to be mostly gluten free, striving to be mostly vegetarian, and when I can, aspiring to vegan. That is a bit of a challenge when it comes feeling great on the paleo diet but feeling that it is wrong for our times now to eat so many animals, to put it bluntly. But that will come later, when I come back to regular eating. For now, I am mostly eating vegetables and some berries, along with the other smoothie ingredients, with one mostly vegetable and legume dinner. And doing great great with the beverages except for… well, that first cuppa coffee with half and half is so wonderful. After that, I am good–oh so good, until well, yesterday my old friend and I sat looking out at the magnificent ocean water surrounding our island home and we shared some wine. Just a glass, mind you, and it was red, so I can pretend it is good for me and it is, mostly– except for when it isn’t– which is now. So there you have, blogger friends, I confess. Detoxing in the real world for a social animal like me with ingrained habits is challenging. I think I will be able to slowly do this right so that by the time I get it down, the detox will be over! I intend to detox, or even mostly detox until the Equinox, which is September 21. Detox diets always start with the standard advice to “consult your health car professional before starting…” Excuse me, but from where I am sitting, that’s a big joke. Health care professionals know very little about detoxing or supplements or much of anything in the preventative department. 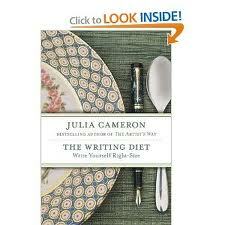 Right now the biggest ally I have is Julia Cameron’s book, “The Writing Diet”. I think it is essential to become aware of how we eat as well as what we eat. Being on the Detox Diet enlivens my relationship to food and my body, writing about it will bring me home to why I want to eat THIS and not THAT. For that matter, how and why I use food to cover up other things I am feeling or to soothe the stress away. This is a good job for food, I think. And an old one. I want to do this without feeling deprived or too severely restricted so that I can come back time and time again to my smoothie or lentil vegetable laden soup and regard them as comfort food, not punishment. This is a journey. I will report the days as I experience them.